Product prices and availability are accurate as of 2019-04-23 12:56:33 UTC and are subject to change. Any price and availability information displayed on http://www.amazon.com/ at the time of purchase will apply to the purchase of this product. 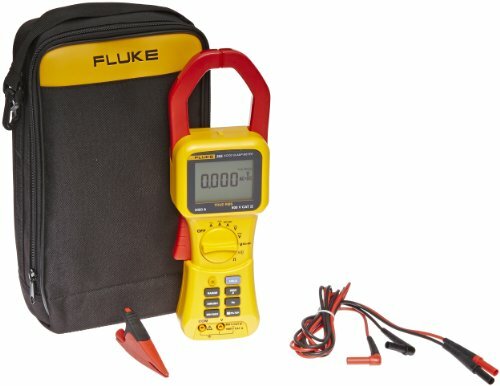 The Fluke 355 digital clamp-meter is a true RMS sensing, auto-ranging multimeter for measuring current, voltage, frequency, and resistance in electrical testing applications. It has a clamp that measures AC (alternating current) and DC (direct current) to 2,000A (amperes) (1,400A AC RMS). 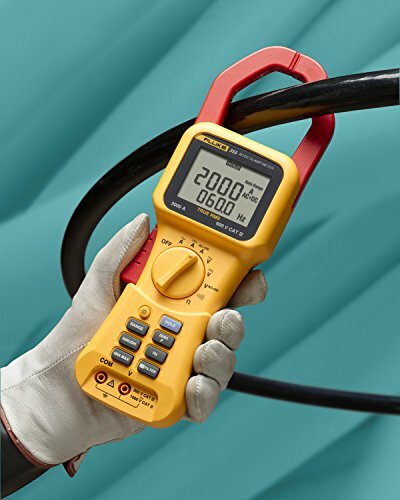 The clamp has two jaws that can close around an electrical conductor up to 58mm (2.3 inches) in diameter to measure the current of large or multiple conductors without touching or interrupting the circuit. A set of test leads is included for measuring AC voltage to 600V, DC voltage to 1,000V, frequency to 1kHz (kilohertz), and resistance to 400k? (kilohms). The test leads are silicone-insulated for flexibility and resistance to heat and cold. The meter has a rotary switch to select the property to measure, and an LCD with a backlight for visibility in low light that turns off automatically after five minutes. The meter's inrush current function analyzes the surge current at the startup of motors and other inductive loads to provide accurate, stable measurements. 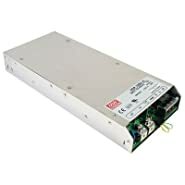 It features a low-pass filter that reduces high-frequency interference to allow accurate measurements of complex wave shapes. The minimum/maximum function toggles to display the lowest, highest, and average readings. 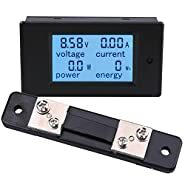 To aid documentation of readings and capture readings in tight spaces, the data hold function keeps the reading on the display after disconnecting from the circuit. A continuity buzzer confirms that the circuit conducts electricity. The unit operates on six 1.5V AA batteries, and turns off automatically after 20 minutes of non-use to conserve battery life. It has a low-battery indicator that signals when the battery needs to be replaced. This true RMS (root mean square) sensing meter provides accurate readings when measuring linear or non-linear loads, regardless of waveform. It is auto-ranging, so it automatically selects the appropriate operating range for the property being measured. Accuracy and resolution specifications vary according to the range being measured. The meter meets IEC (International Electrotechnical Commission) safety standard 61010-2-032, and is rated for CAT (category) IV installations to 600V, which covers equipment at the origin of the installation, such as electricity meters and primary over-current protection equipment, and CAT III installations to 1,000V, which covers equipment in fixed installations, such as switches in the fixed installation and some industrial equipment that is permanently connected to the fixed installation. It comes with a soft carrying case. 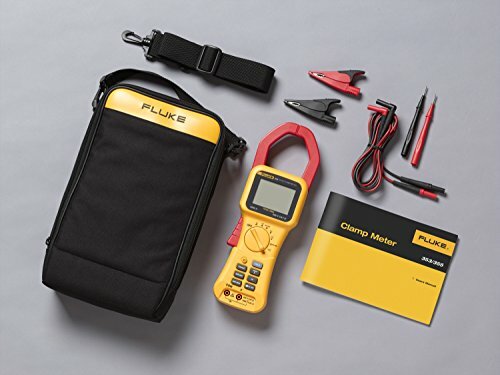 Clamp-meters, also called clamp-on meters, have two jaws that fit around a conductor to measure electrical current without cutting through wires, or touching or interrupting the electrical circuit. 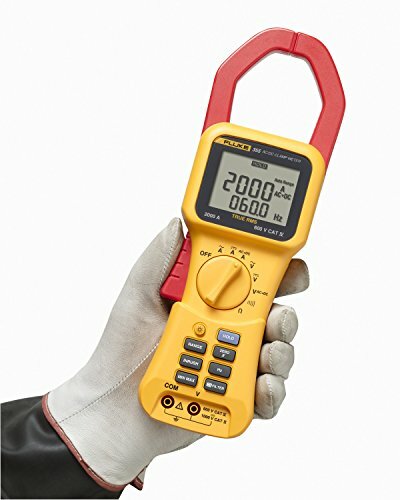 Available in handheld or benchtop models, clamp-meters diagnose problems in electrical equipment, wiring, and power supplies. All clamp-meters test for current. 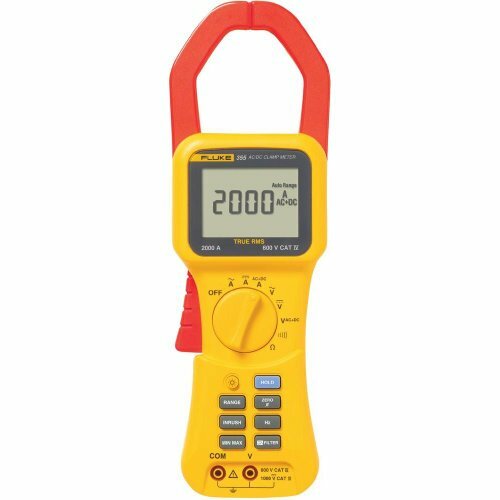 Some come with test leads and inputs for measuring voltage, capacitance, and resistance. They display information either in analog or digital form. 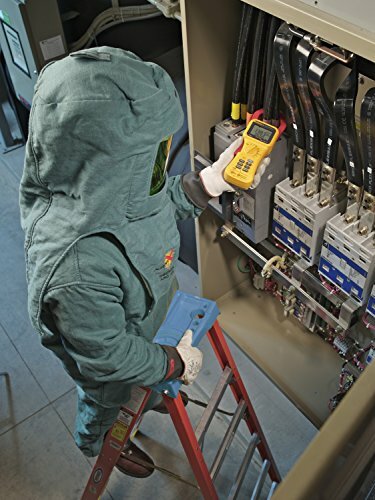 Factors that influence meter choice include the electrical properties to be measured, the anticipated range of results, and the desired level of protection against transient voltage. Safety ratings are based on International Electrotechnical Commission (IEC) standards for low-voltage test equipment. IEC 61010 delineates four overvoltage installation categories. In general, a meter with a category IV rating will provide more protection against transient voltages than a meter with a lower category rating.